Sound makes an atmosphere. It gives a good ambiance to some businesses like spas or beauty salon businesses. To achieve a very nice sound quality for your business, you have to either buy an original track online or do some audio editing yourself. 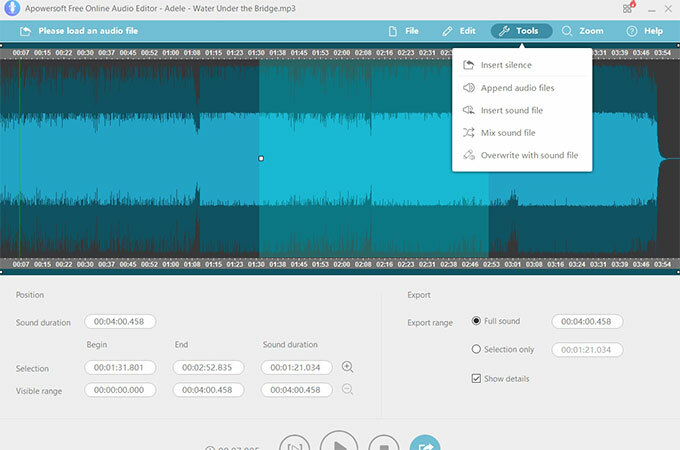 You could also use an audio editor to create soundtracks of your home movies, adjust background music of a video, or even dub a video file. Here you will find professional and free audio editor that you can use for personal occasions or business purposes. See the reviews below to help you decide which one fits your needs. 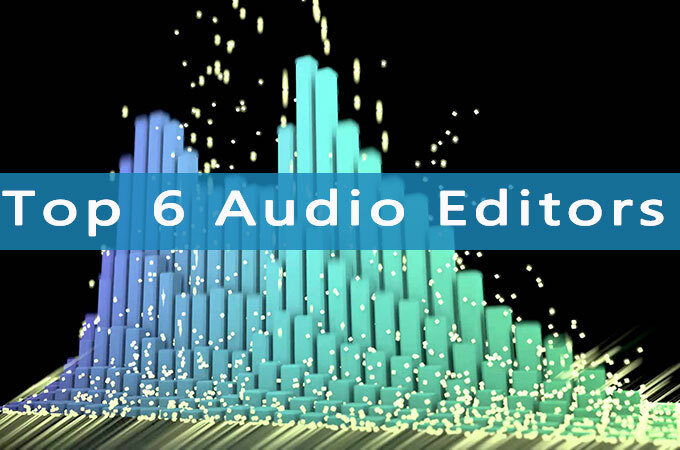 Here are some free editors that you can use to edit audio files with great ease. Apowersoft Free Online Audio Editor is a free web-based application which can be used as an audio editor. It lets you cut, trim, split, copy, merge paste and copy audio files easily. Apart from that, you may also mix, append, overwrite and even add effects to your audio file. This app supports formats such as OGG, FLAC, MP3, M4A, WAV and more. Here is how you can use the online app. 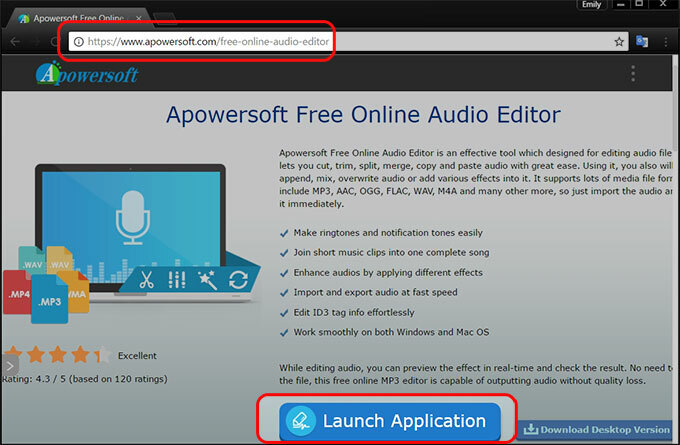 Visit the Apowersoft Free Online Audio Editor page and then click on “Launch Application”. The launcher will then appear. On the interface, click “Please add the audio file” button on the upper left corner to add the audio file that you will edit. Start editing the file in accordance to what you prefer to do with it. Once done, click on “File” > “Save As” and choose the format, audio quality and output folder where you want it to be saved. Click “OK” to save the file on PC. This online audio editor also lets you edit ID3 tag information easily. It comes with an ID3 editor, allowing you to add or edit music title, genre, artist name, and year when the song or track was released. If you are looking for a desktop app, Audacity is good for you. It can help you record live audio through a mixer, microphone, or inputs. This tool supports WAV, AIFF, LAC, and AU files. You can cut, paste, copy, and delete the audio file, and mixing tracks and adding effects to an audio file can also be done. However, this tool requires downloading and installation. You will need to have enough space on your PC to use the app. Another desktop tool is Ocenaudio. This free sound editor allows you to see a real-time preview of its effects, such as EQ, filtering, and gain. You can hear the effects while you are adjusting the controls. Additionally, this is app compatible with Mac OS X, Linux, and Windows PC. 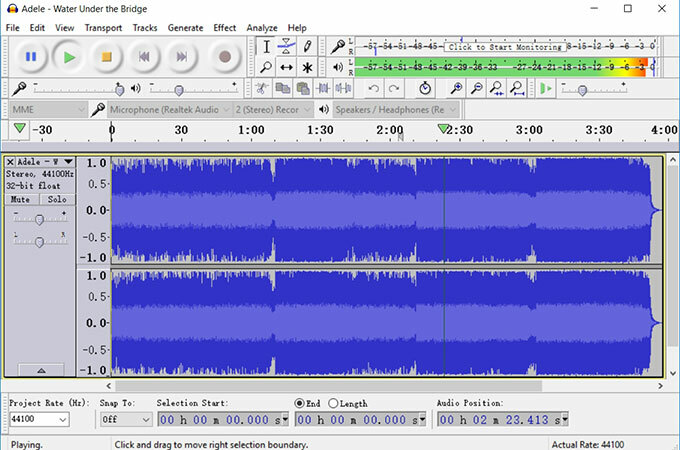 You can merge, trim, overwrite, copy, paste, and delete the audio file, and large files can also be edited. 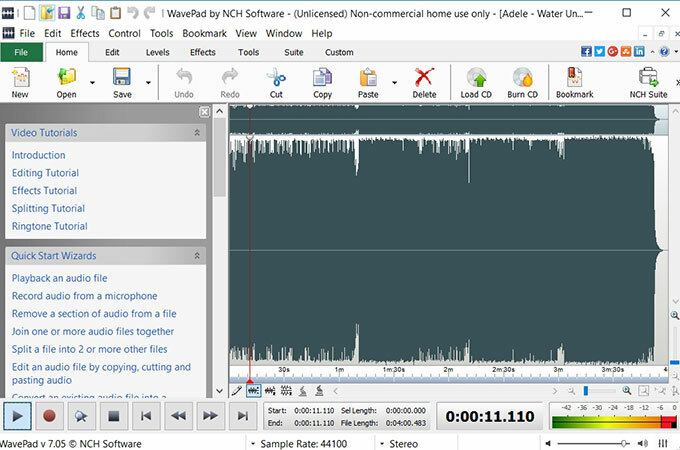 WavePad is an audio editing software that is compatible with both Mac and Windows computers. It allows users to edit music and record from a microphone and other input devices. You can copy, paste, and cut some parts of the recordings and add effects such as noise reduction, echo, and amplification. It supports formats like GSM, VOX, WMA, MP3, and more. Aside from the free audio editors, here are some professional editors that you can use to edit your audio. One of the best professional apps that you can use is the VideoStudio. This is a paid app that lets you edit audio and even video. You can add effects, edit sound, crop and even trim. Furthermore, video files can also be enhanced and edited professionally with this tool. Premiere by Adobe is the most popular professional audio editor. 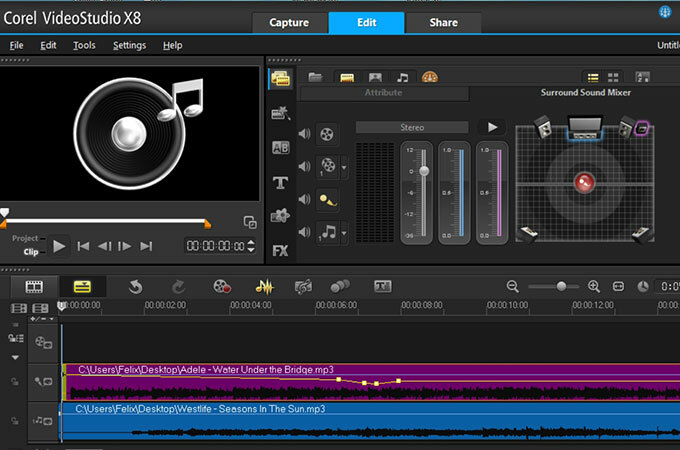 It can edit both audio and video files. It can do almost anything that you want to do, especially with video files. 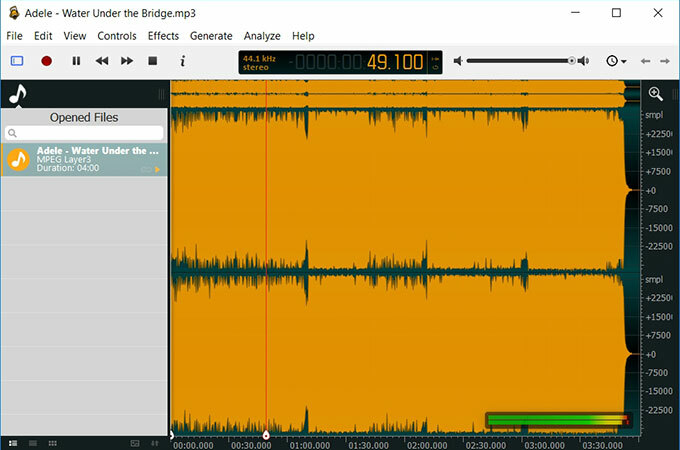 For audio, you can add effects in real-time, trim, split, crop, and merge. This desktop app supports a variety of formats such as MP3, GSM, VOX, WMA, WAV, and more. To use it, you need to buy it directly from the Adobe site. This app is so much pricier than any other editor available for sale. 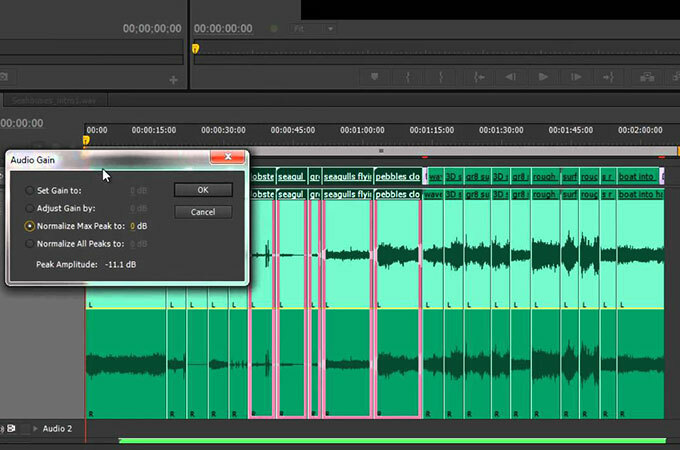 Both professional and free music editors work the same when it comes to audio editing. This means that you could just get the free ones as for practicality. We suggest that you go with Apowersoft Free Online Audio Editor because it can do all that the professional tools can do in terms of audio editing. Additionally, this online app does not take up space on your PC because it is web-based. All you need to have is an Internet connection, and you are good to go.